Is The Baguio City Athletic Bowl Open For The Public? Are Runners, Joggers, And Athletes Allowed Inside The Track Oval? 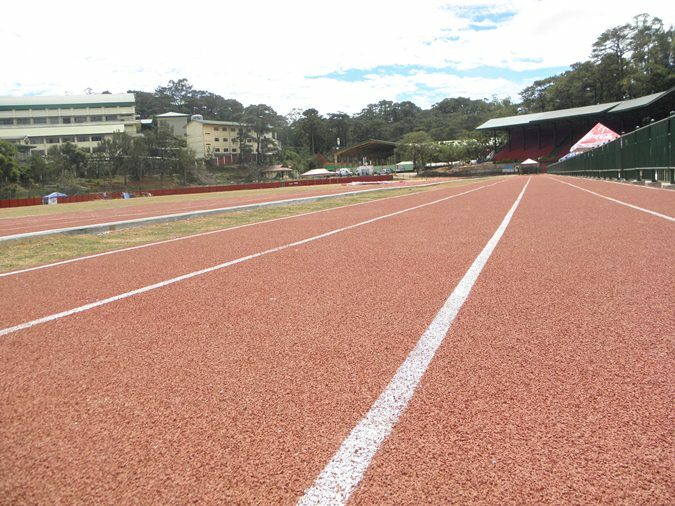 The public has always been allowed to walk, jog, or run inside the Baguio City Athletic even before it was installed with a rubberized track. However, with the installation of the rubberized track, the city has fenced off the track oval to control the people who want to get in. This doesn't mean that people are not allowed inside. The public can still access the oval to run, walk, jog, or train. But there's a new system in place. Before you get in, you should avail of a ticket first. The ticket booth is located at the oval entrance. It's usually manned by two or three people. For regulars, the fee is 25 pesos. For students and government workers, the fee is 10 pesos. The track oval can be used for free by Baguio City athletes, senior citizens and the people with disabilities (PWDs). The Athletic Bowl is open every day from 5 in the morning to 6 in the evening. Keep in mind that the oval is still not lighted so by 6:00 pm, the place is already enveloped by darkness. The no-ticket-no-entry policy is strictly enforced in the Baguio City Athletic. If you are a student, you need to show a school ID. If you are an athlete, you have to prove that you are indeed an athlete. 1) Always use proper gear when inside the oval. The oval is not that strict when it comes to clothing. But you have to have the proper footwear because of the oval's rubberized track. So wear running shoes or rubber shoes. 2) Pets are not allowed inside the oval for obvious reasons. They might pee or defecate on the rubberized track. 3) Bikes, skate boards, and other similar devices are also prohibited as these can damage the track. 4) People are also not allowed to bring things like large radios and speakers into the oval. 5) Walkers, joggers, and runners are advised to make use of the track's outer lanes (5th to the 8th lane) because the inner lanes are prioritized for for use by Baguio City athletes. 1) It's best to run and jog there during weekdays because it can get really crowded in weekends. 2) Always bring your own water with you. There's isn't a water stand inside the oval. 3) Go there early in the morning or later in the afternoon. It's an open stadium so if you go there in the middle of the morning, you might encounter scorching heat. 4) The main entrance to the track oval is located just beside the Burnham Park Skating Rink.